What Does Proverbs 27:19 Mean? 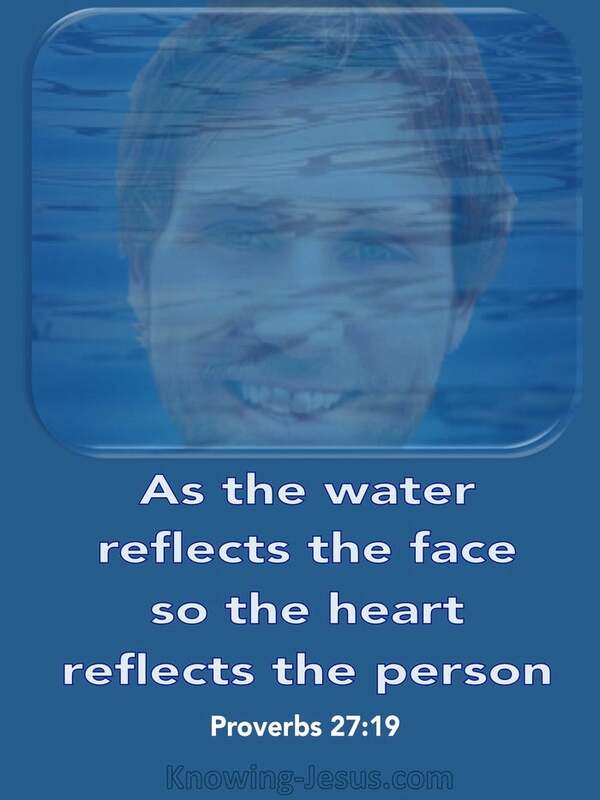 As in water face reflects face, So the heart of man reflects man. Just as gazing into the mirror-like qualities of a still water-pool reflect the detailed features of a man's face so the standards and qualities residing deep within his heart reflect his character and display the innermost calibre of his soul. 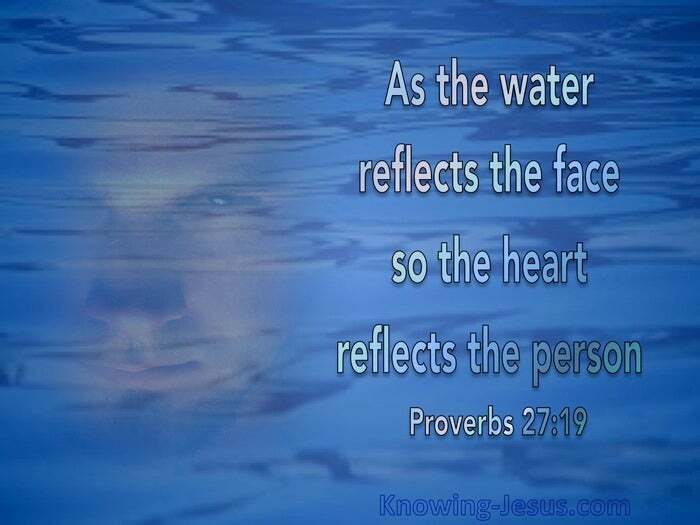 Just as we are enabled to study the physical characteristics of our facial features through the mirror-image, reflected in a clear standing-pool of water, so an examination of the inner thoughts of the heart give a reliable indication of our spiritual standing - or perhaps uncover a hypocritical facade. The literal translation of this verse reads: 'like water face to face, so is the heart of man to a man.' 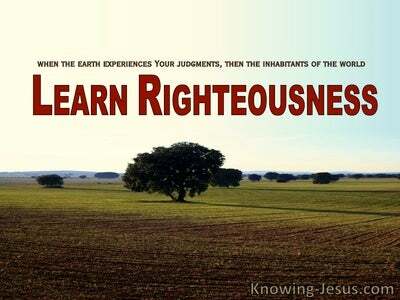 Too often we are quick to identify the qualities or criticise the defects that we see reflected in the life of a fellow believer, but often we are not as swift to identify areas in our own hearts that need to be critically analysed; offered-up to the Lord and purged of anything that is unholy or detrimental to our spiritual growth. Though God alone knows a man's heart and can read the secret thoughts in the inner depths of his soul, it is the outworking of those concealed attributes, which are demonstrated through words and actions, that manifests a man's true identity to his fellow-man and shows forth his character in his works and words. 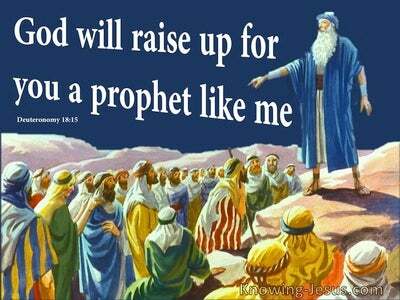 Corrupt hearts breeds corruption, but sanctified ones exhibits Christ-likeness. Man's countenance is frequently an index of his thoughts, and the fruit of his attitude of mind is often displayed in his words, his ways, his will and his walk. As a man thinks so is he, and whatever becomes the central focus of that man's mind, influences his attitude of heart and is displayed in the out-working of his life. How important to examine our own heart and scrutinise our inner thoughts, through the mirror-like qualities of a still water-pool and to reflect whatever is good and pure and wholesome and holy. And the Word of God is the truthful mirror into which we should look carefully - for the face of Christ is that still water-pool upon which our hearts should gaze. 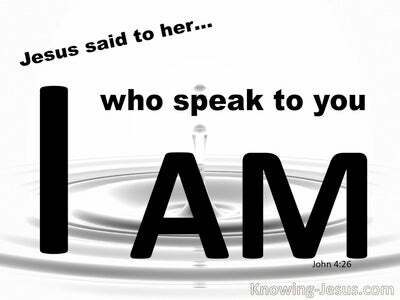 Blessed Lord and Father, what wonderful truths are contained within Your Word. 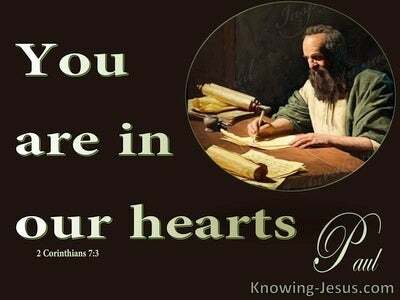 I pray that I may learn to keep the eyes of my heart fixed upon Christ and to daily search the scriptures more faithfully, so that I may learn more of You and increasingly reflect the Lord Jesus. I pray that my life may be a mirror-image of Him, through Whom His grace may flow out to others, in Jesus name I pray, AMEN.